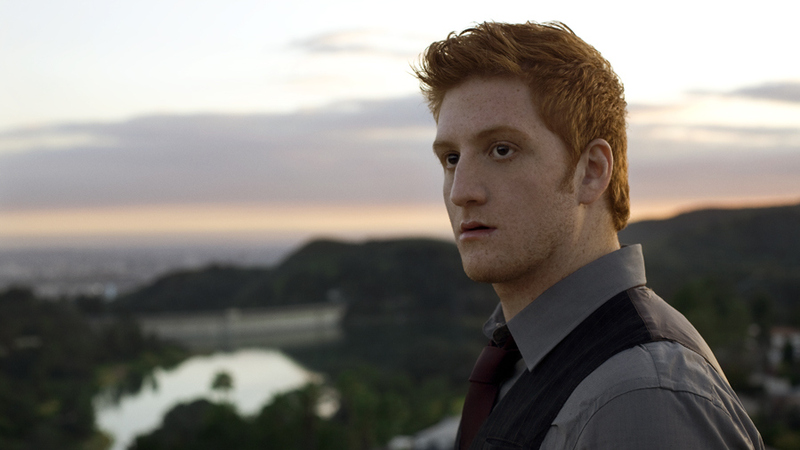 Red-headed athlete-turned-musican Dan Godlin spent his high school years jumping back and forth between two lives: that of a rough and tumble football captain and that of a sensitive,heartfelt musician. In college, Dan chose to follow music, despite being scouted by Ivy league schools for two consecutive record-breaking seasons. Taking his pop/rock cues from bands like Matchbox Twenty, the Goo Goo Dolls, Counting Crows and The Fray, Godlin recorded his first album, Loving on Empty, in 2011 which garnered a spot on the Top 200 Hot Adult Contemporary Charts and a number three spot on Channel One's iHeart Radio's New! Godlin was also named Channel One's Artist of the Month and was nominated for 2012 Artists of the Year. In addition, Dan has performed on the Camplified Summer Tour and had a single on the hit Canadian Tv show Degrassi: The Next Generation ('Did She Look" - March 2013). This past may, Godlin performed at the 9th Annual MUSEXPO in Hollywood. On August 6th, Godlin released his newest single, "Summer Road," a track of his upcoming full-length sophomore album, mastered by Grammy Award-winning mastering engineer Tom Coyne (Adele, One Direction, Beyoncé). "Summer Roads" was inspired by Godlin's time writing and recording in sunny southern California. "Summer Roads" marks a milestone in Godlin's career and signifies an artist coming into his own. For the the first time, the singer-songwriter stepped into the role of producer, overseeing the production of the single. Inspired by his time in Los Angeles, "Summer Roads" celebrates the season of sunshine, days at the beach and warm weather. Godlin recently had three of his songs featured on E! Channel's "Keeping Up wit the Kardashians" and his song, "Where We Belong" aired on MTV's "The Challenge: Rivals II" on July 24. His music is also playing on American Airlines' "Hit List" on flights around the country. "Summer Roads" was written and produced by Dan Godlin, mixed and engineered by Chris Thompson, mastered by Tom Coyne of sterling Sound and recorded at purple Tongue Studio in Burbank, CA. The single features Jim McGorman on guitars, piano and rhodes, Marc Slutsky on drums and percussion and Jenn Oberle on bass.